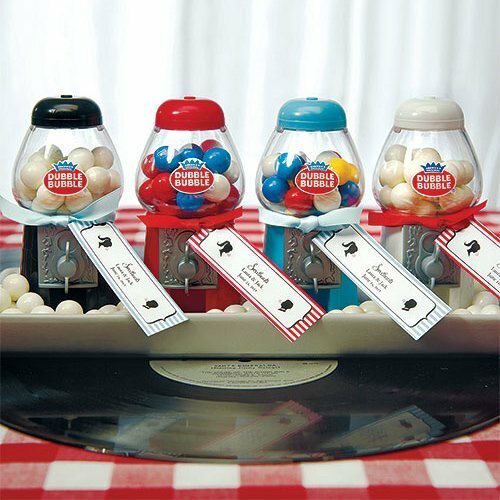 The perfect choice for a black and white wedding color scheme or for an over the hill birthday party, these classic black mini gumball machines are filled with about 20 white gumballs. 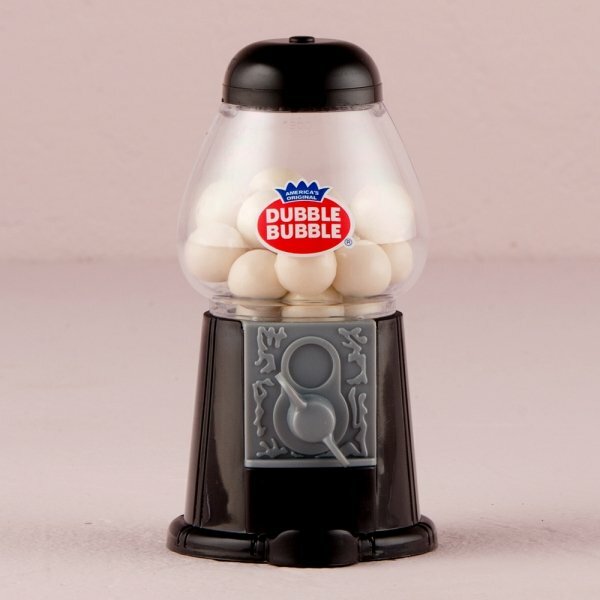 They stand about 5" tall and weigh about 2.25 ounces. 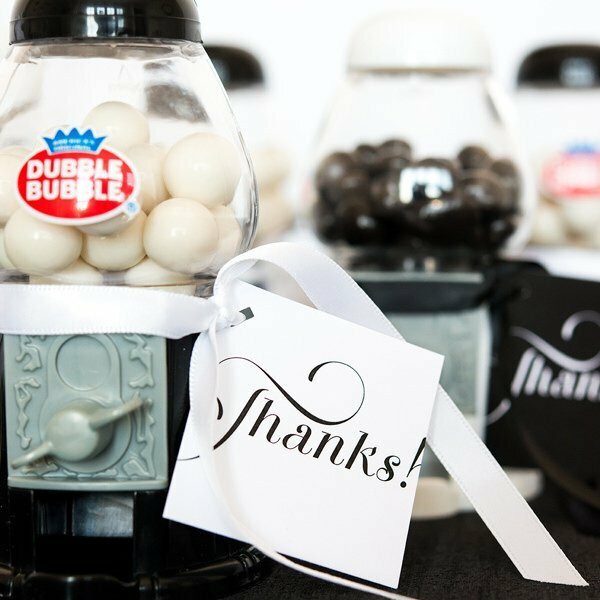 These black and white party favors are sure to whisk your guests back to their childhoods when gumball machines were found at every drug and grocery store. 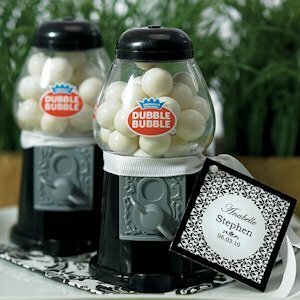 The photo shows the machines with our personalized ornamental black and white favor tags (must be purchased separately).